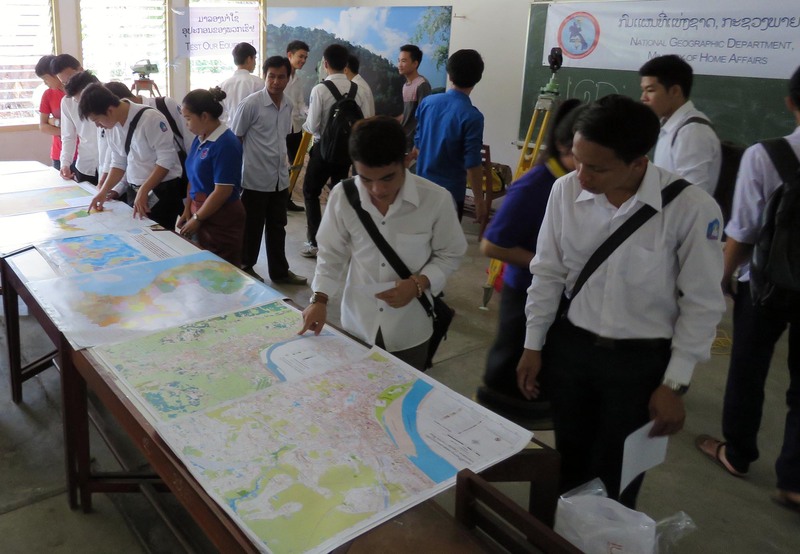 NGD attended the 4th Job Fair that took place at the Sokpaluang Campus on May 29th 2015. 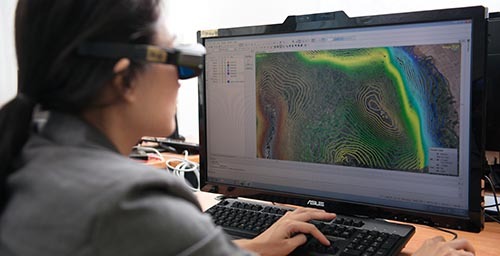 The event was organised by the Faculty of Engineering together with the European Chamber of Commerce and Industry in Lao PDR and the Lao National Chamber of Commerce and Industry. The main objective of the job fair was to bridge the communication gap between the academic world and the business community. Although the job fair was mainly targeting on this year’s graduates, also students from vocational schools as well as higher secondary schools were invited. The job fair gave them the opportunity to draw clearer career plans, to explore education and training options, and to obtain needed internships. 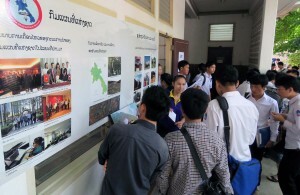 Currently around 5,000 students are enrolled at ten different departments within the Faculty of Engineering. NGD staff was eager to showcase equipment and methods used at NGD to about 1.800 students attending the job fair. 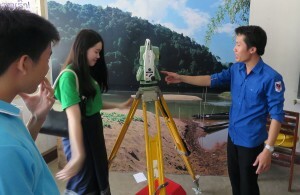 NGD stand proved popular among students because there were many activities where visitors could hands-on experience with survey and mapping equipment. Hopefully many students were inspired by the NGD stand as NGD is looking for talented and educated employees now and in the future.